New Construction! 5BR master on the main home in amazing Simpsonville location! 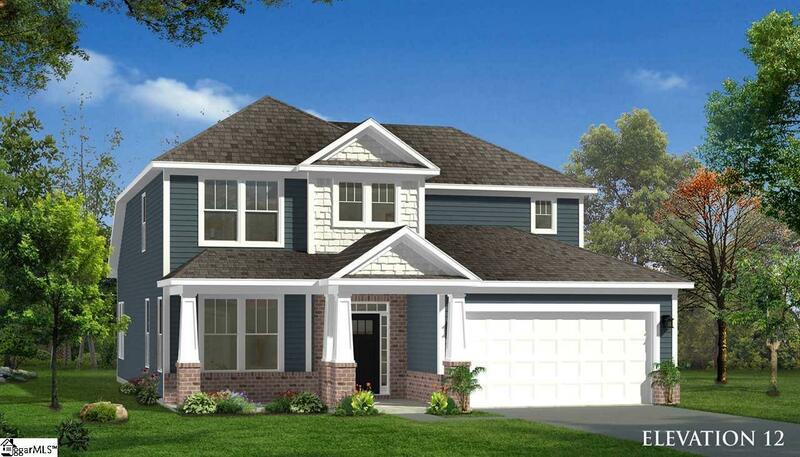 This home is under construction in the popular Coventry community and will be ready for move-in JAN 2019. The Middleton plan is an amazing value with over 3900sf of living space, five generous size bedrooms, a HUGE finished walk out basement, and an open-concept layout thats perfect for entertaining. Upon entering you are immediately welcomed by an airy and bright two story foyer. Off the entry, a formal dining room with elegant trim detail flows past a large pantry and spills out into your gourmet kitchen. Love to cook? Your kitchen comes complete with stainless steel appliances including a gas cook top, double wall ovens, and a built-in microwave. 42 upgraded white maple cabinets with crown molding, hardware, and roll out trays are accented by gorgeous granite counter tops that make this kitchen a chef's dream. A 7ft center island provides extra counter space and creates a great casual dining space! Off your kitchen, an eat-in area flows out onto a peaceful and relaxing deck that overlooks your private, tree-lined back yard. On the main level, the master bedroom is generous in size and boasts a walk in closet and luxurious master bath with dual vanities, a private water closet, and a 5ft tiled shower with a seat. Walk up the stairs and youll find three large secondary bedrooms with access to a shared full bath. In the basement, you also have an incredible rec room that can be used as a media room, play room, home office, or gym as well as a bedroom, and a full bath. Our brand new Coventry neighborhood offers a community swimming pool with an open air pavilion, sidewalks, and an incredible location. Perfectly situated between historic downtown Simpsonville and bustling Five Forks, you'll enjoy quick access to great shopping, dining, & entertainment options. Hop on I-385, 3 miles away, and you're only a 20 minute drive from downtown Greenville. This home has so much to offer and is a MUST SEE! Home is under construction that can close January 2019. Closing cost assistance available.